Brendon Christian is the Director of Christian, The Law Firm. 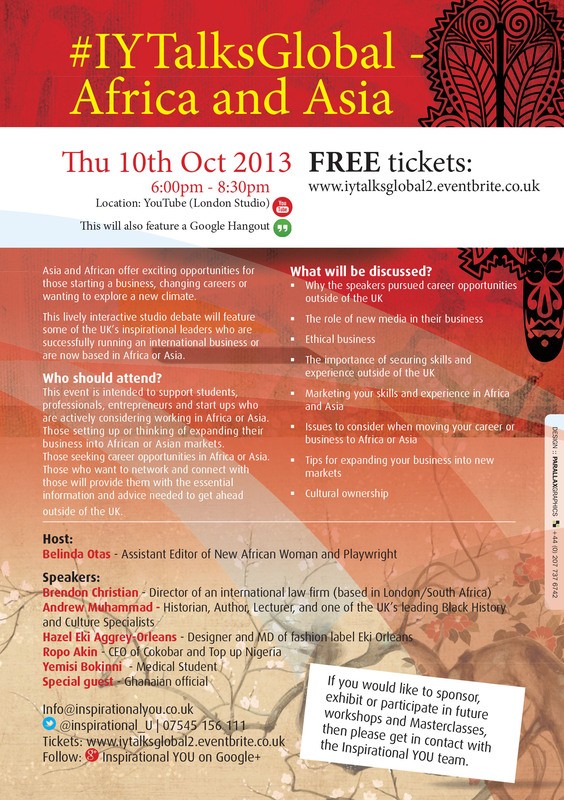 He will be joining our #IYTalksGlobal masterclass at You Tube on in London on Thursday 10th October 2013. Brendon is a dual qualified Solicitor of the Supreme Court of England and Wales and an Attorney of the High Court of South Africa, and advises clients on both English law and South African law, with a particular focus on dispute resolution in the areas of tax, commercial law and company law. Brendon advises a broad range of clients, situated in various international jurisdictions, including businesses, government departments, non-governmental organisations and charities and non-profit organisations operating in the UK, South Africa and internationally. Before founding Christian, Brendon was a lawyer with HMRC, the UK tax authority, where over the years he had conduct of a litigation caseload in excess of £200 million tax at stake. In South Africa, Brendon practised as a Partner in a law firm advising businesses, government departments, and non-governmental organisations in the areas of commercial law, contract law, corporate law and employment law. Outside of work, Brendon has a genuine interest in working internationally for the advancement of human rights and has given freely of his time in the areas of human rights and development in Africa, the Asia Pacific region and in developing countries. Examples include acting pro bono for HIV/AIDS non-governmental organisations in sub-Saharan Africa, and acting pro bono for agencies such as the International Legal Resource Centre (ILRC), a project of the American Bar Association (ABA) and the United Nations Development Programme (UNDP), in advising the Socialist Republic of Viet Nam in helping guide Viet Nam’s legislative response in addressing the challenges raised by HIV/AIDS in that country.